D & C Studio's driving force, Kate Dewey. D and C Studio was a finalist in the Emerging Business and Home Based and Micro Business categories at the 2018 Geelong Business Excellence Awards. D and C Studio is an agency “born from a passion to create exceptional brands through leading edge graphic design”, writes director and founder Kate Dewey in her awards entry. “We are dedicated to a single purpose: helping business owners to achieve their dreams in business,” Kate says. 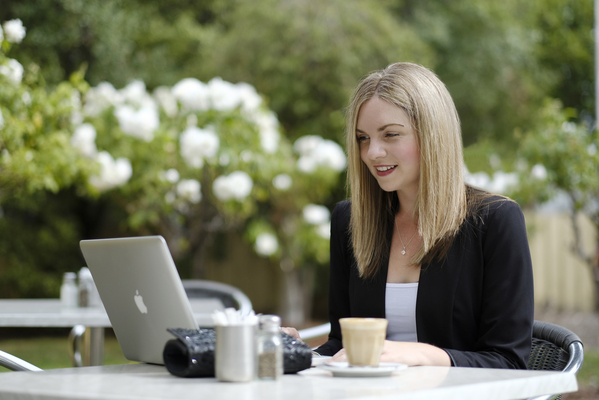 Kate has long had a “burning passion” to help others achieve their business dreams. She has relied on her understanding of the key lessons for business success and how to identify structural deficiencies to develop D and Co Studio into an operation worthy of its place as a dual finalist in the business awards. “Our vision is to be the design agency of choice based on our values of creativity, integrity, commitment and communication,” Kate says.